As someone with naturally wavy hair and a bit of a bleach habit, I’m constantly trying to find ways to keep my hair looking and feeling as good as possible. Despite my best intentions, as well as a session with my trusty GHDs, the moment I step into wind, rain, or drizzle (of which we get a lot of in Scotland) my hair tends to puff up and look messy instantly. So when Evo’s new Head Mistress popped through the letterbox, the timing couldn’t have been better. 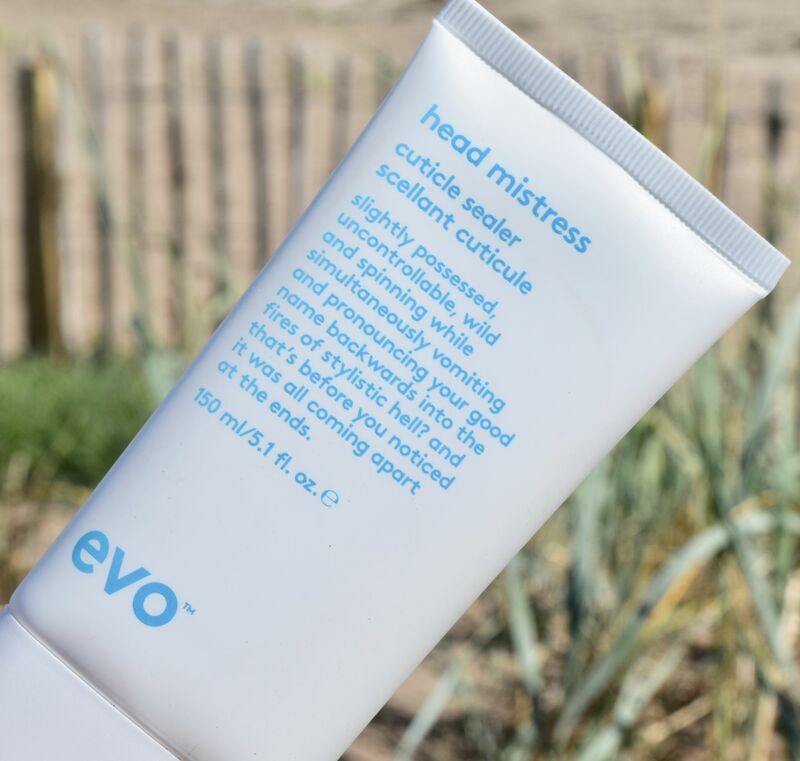 Applied to towel-dried hair, the formula feels weightless, and wouldn’t weigh even fine hair down. I like to apply it from around my ears down, then combing through, so it’s evenly distributed, then get to work with the blow dryer. 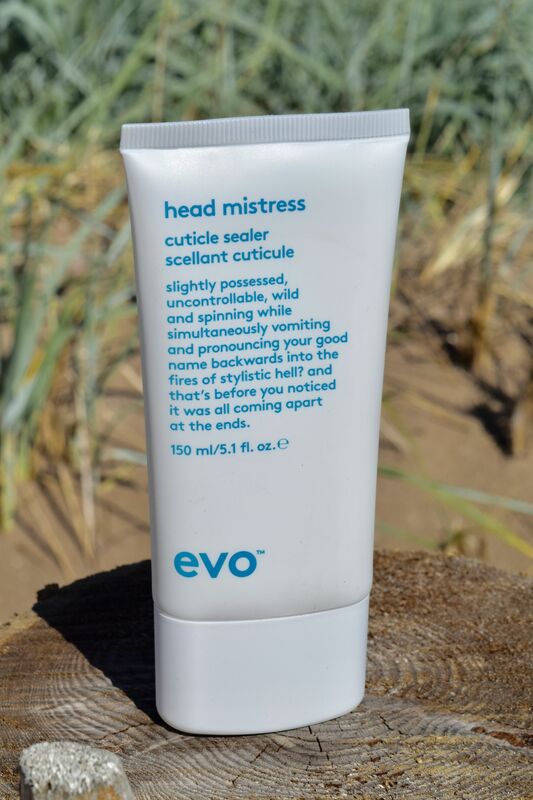 Unlike other products like this I’ve tried, Evo’s Head Mistress, doesn’t add minutes to my blow dry. Instead, hair dries quickly, and looks and feels smoother than usual. Once it’s dry, I add a little of my regular serum to the lengths and ends and finish with my straighteners. The result is a good hair day you can count on – hair is shinier, it feels softer, and it looks tidier thanks to a split ends binder too!